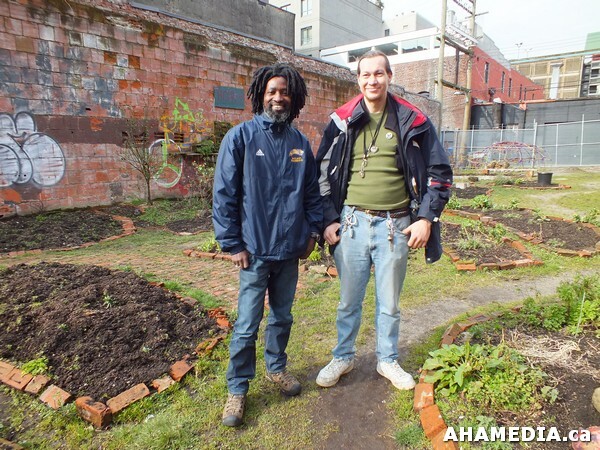 Excited DTES residents prepare Hastings Folk Garden for new planting season! Below is Jim speaking about prepping the soil, planting seeds and having events! In April the garden will be open Noon – 3 Weekdays for community access! Aboriginal Front Door cares for a Native Plant Garden within the space! Past Events have included Sprouting Workshops and Outdoor Movies, look for these again in the summer!